“We were going crazy without enough sleep!!! Our 2-year-old could not understand how to “wait for the 7” on the clock before coming out of his room morning after morning. He’d wake up early (I mean like 5:27am - “there’s a 7!! !” he’d say) and just assume time to get up, come out of his room, and be awake for the day. 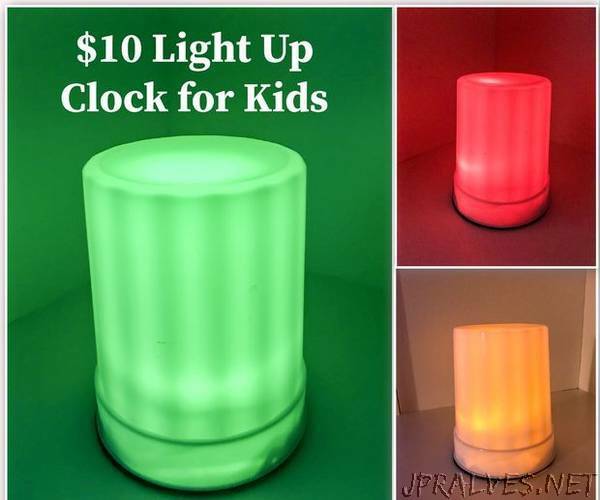 Since ages 2-4 have a very difficult time reading clocks, this simple light up clock was a HUGE solution to our problem!! !